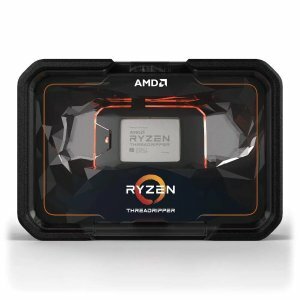 Amazon.com offers the AMD Ryzen Threadripper 2970WX 24C48T 4.2Ghz Processor for $1299. Features: An Astonishing 24 Cores and 48 Processing Threads for Serious Designers and Artists. Incredible 4.2 GHz Max Boost Frequency, with a huge 76MB Cache. Quad-Channel DDR4 and 64 PCIe lanes, the most bandwidth and I/O you can get on Desktop Processor.